Quotes are not just the way to get motivation or inspiration, but they are also a better way to find the inner soul of the speaker, writer or thinker. There are times when we think of famous quotes that can inspire us. Sometimes quotes can give us the idea or strength to deal with the issues of our lives. No matter which phase of life you are or what you are doing in your life, quotes can save you from meeting disasters. Since my childhood, I love reading quotes of famous people, successful professionals, celebrities and great thinkers. When I entered into the professional version of my life, I started reading more inspirational quotes to find the strength and ideas to boost my productivity. I met Gaurav Kumar in 2013, and his thoughts have inspired me a lot. Since then I have learned a lot from his words, writing and quotes. Today I am sharing some of the best quotes of Gaurav Kumar, (man behind eAskme) that has motivated me. And, I believe that these can motivate others also. If you are running an online business such as blogging, affiliate marketing or working from home or struggling in your life, then these quotes can give you new hope. 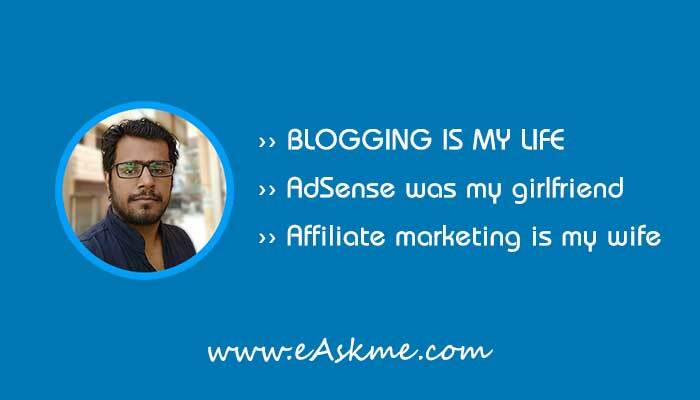 "Blogging is my life, Adsense was my Girlfriend, Affiliate Marketing is my Wife: Gaurav Kumar." This quote is the sign of dedication, commitment, and growth. Blogging is the profession with passion. This tells that you should love your profession or turn your passion into a profession. Second, It also reveals how a blogger grows from a newbie to a professional when his life changes from running ads to proving valuable products. "Online Business: What You Call Hell, I Call Home: Gaurav Kumar." 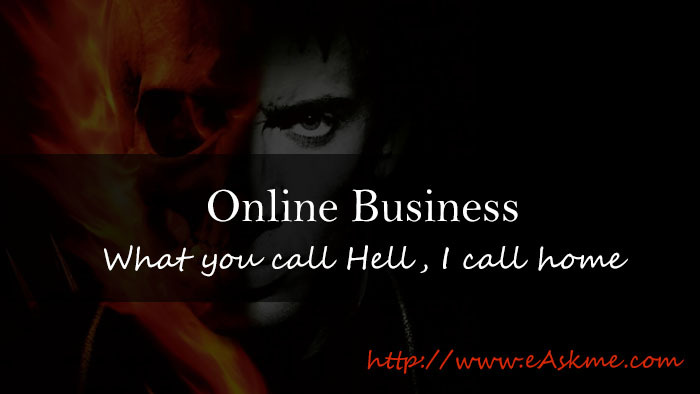 Most of the people think that their business or profession is evil which is eating all of their time. The quote reveals that a successful person thinks differently. "Blogging is not for mood shifters; It is for mood makers :) Gaurav Kumar." This quote of Gaurav Kumar tells that a profession is not for moody people or moody people can't get success in any profession. The only way to be successful is to be in mood as long as you are in the profession. "Small steps can lead to big success, and that is what blogging is all about: Gaurav Kumar." With this quote, Gaurav reveals a secret of success. Achieving long term goals or high-end goals is not easy. 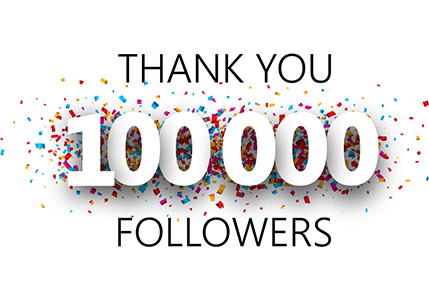 The best thing is to divide them into small steps such as milestones. Start achieving each milestone and the big success will be on your way. "The secret ingredient to inspire others, include your life in your posts: Gaurav Kumar." We all love sharing posts on Facebook, WhatsApp Status, Instagram, etc. But, do we share the real side of our lives? Gaurav's quote tells that when you start including the real side of your life in your posts, you become productive and inspiring. "Do you want to grow your business?, simply connect with like-minded people: Gaurav Kumar." We all want to make money, we all hate jobs. But, the same time we all afraid of running a business. Gaurav's quote says that it is super easy to run or grow a business when you start connecting with like-minded people. "Every roadblock is an opportunity to analyze the speed of your growth: Gaurav Kumar." Most of the world feel stuck at some point every day. Whenever things change in life or troubles, arrive, People start thinking that their life is not good, their job is not good, their relationship is not good, in short everything which is happening to them is not good. When you know this that means you know that troubles always come around. Start treating troubles as just roadblocks that can only slow the speed of your life but can never damage as long as you have control over your emotions. "Blogging is not a Business; It is the way to live a better life: Gaurav Kumar." Most of the world is falling in love with blogging. People think that it is an easy way to make money online. But, nothing is easy as long as you are not an expert. So no matter what business you are running, as long as you take care of your business like your life, you will never fail. The secret of Saving: "Don't buy what others say it good. Buy what makes you feel good: Gaurav Kumar." No matter how much you earn, still many people complain that they never have enough to save. Because there never know where to spend wisely. Overspending leaves them with no savings even when they have everything. That is why Gaurav has shared a critical point, and that is only buying things that make you feel good or useful for you, don't buy just because others are buying that. The secret of Success: "Don't sell what you believe is good. Sell what makes others feel good: Gaurav Kumar." This quote, Gaurav has shared the secret of his success. Most of the people fail when selling something because they are just pushing the products rather than understanding the need of the buyer. When you change your focus and start understanding what your customer wants, only then you can make more sales and more money. "Live life the way you own it: Gaurav Kumar." Money is not life; it is just the need to manage your life. Most of the world is running after money spending 80% of their life working. You should remember that you are born to live life not to die earning. "I am not your cup of Tea, I am the "World Cup" you can meet only after winning the competition! : Gaurav Kumar"
Tons of people want to connect with entrepreneurs like him. It is not easy to answer all of them. Sometimes many of them are not worthy. A person should prove his worth before connecting with Gaurav Kumar. He/she has to be worthy and compete with others to win the time to meet Gaurav. These are the most popular quotes of Gaurav Kumar. Gaurav has inspired me with his work, his passion for blogging, his helping nature and the way he thinks about life. He is happy because he has everything. But, He was happy even when he had nothing. 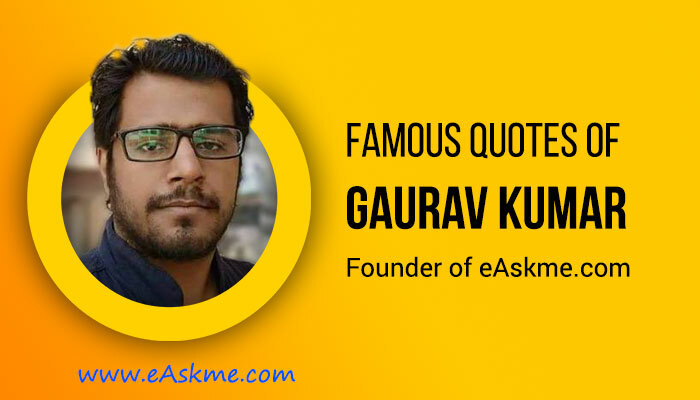 If you also want some inspiration, motivation or professional friend, then you should connect Gaurav Kumar or stay tuned with his site eAskme.com. Do you also love reading quotes? What you learn from famous quotes? Which quotes you find most appealing to you?